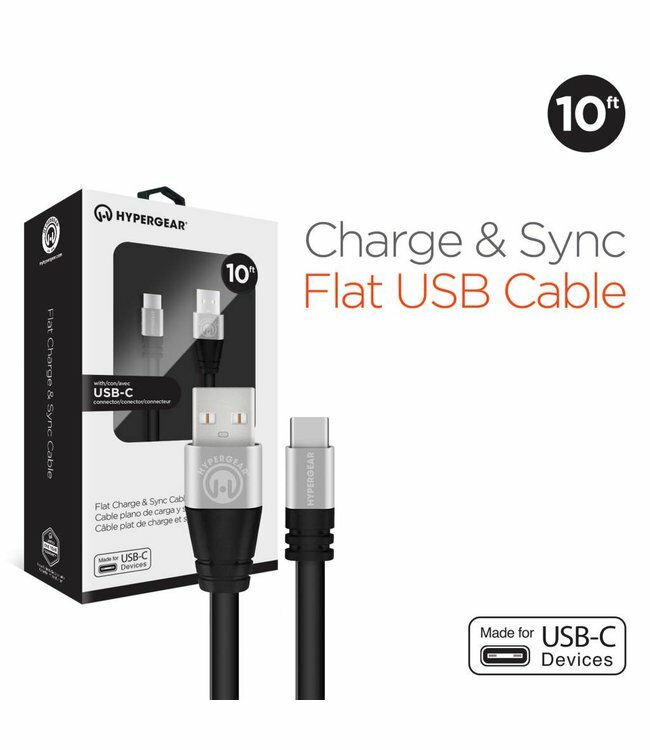 The HyperGear 10 ft Flexi USB-C Charge & Sync Cable delivers unmatched durability and flexibility for fantastically fast sync and charging. The HyperGear Flexi USB-C Charge & Sync Cable delivers unmatched durability and flexibility for fantastically fast sync and charging. Engineered with TPE, this super-tough, ultra-bendable, flat soft-touch cable lets you charge and sync simultaneously at high speeds. Featuring a 10’ tangle-free design, this uniquely strong cable comes in a variety of colors and can be relentlessly bent without causing damage. Flexi durability for active lifestyles!